Following are recipes and food resources gleaned during Internet reference searches. Asian Food Recipe (AllRecipes): Delicious recipes featuring the best of Chinese, Japanese, Indian, Thai, Filipino cuisine, and more. Asian Recipes (Food Network): Get easy Asian recipes, tips and techniques. All Recipes: Everything you need to know about recipes and ingredients. Section tabs for Recipes, Budget Cooking, Holidays and Baking. Special tab for Christmas recipes, cookies, candy, Christmas brunch casseroles and entertainment. Best Homemade Pancake Recipes (The Old Farmer’s Almanac): How to Make Homemade Pancakes from Scratch. Best of BBQ: FoodNetwork's Classic Recipes and Regional Favorites. Ann Herrmann's Maple Barbecue Ribs (The Old Farmer’s Almanac). Grilling Recipes: (Ask) - BBQ, Grilled Ribs, Chicken, Steak, Seafood…Hamburger Recipes…Chicken Recipes…Apple Pie Recipes…Potato Salad Recipes…Macaroni Salad Recipes. CHOW: a new kind of food media…about the parties you really want to throw, the meals you really want to eat, the gear you really want to have—but we deliver it to you in audio, video, and more. Check out the illustrated recipes and the Holiday recipes section along the top tabs. Cooking - Recipes: browse recipes, more by ingredient, quick, occasion, diet, more. Cooks Recipes: A premier cooking & recipe internet resource featuring thousands of recipes. Includes a Cooking Dictionary of useful resource of culinary definitions for various cooking techniques, terms and recipe ingredients. Cooking Tips (Tips.Net): discover the tips and techniques that will enhance your enjoyment and your culinary skills. Tips cover baking, barbecue, desserts, easy meals, ethnic cooking, holidays, kitchen tips, pasta, soups, spices and more. Diabetic's Recipes (University of Illinois-Extensions Nutrition & Health): Includes Main Dishes, Side Dishes and Desserts. Farmers' Almanac Food and Recipes: Cooking hints and tips, suggestions for healthier family meals, grocery shopping advice and more. Fave Diets: 1000’s of quick healthy recipes, diets, fitness tips and more! Learn how to maintain a healthy lifestyle, with all the tools you need to create a healthier you. Information about every kind of diet, from 7-day diets to meal based plans. Of course the best diet is simply to eat well. Food Network Easy Recipes, Healthy Eating Ideas and Chef’s Recipes. Food Network - Kid-Friendly Recipes: Whether learning math skills, nutrition basics, or building self-esteem, kids can pick up a lot from cooking. Just Food Recipes: Includes seasonal & holiday recipes, recipes by country, vegan recipes. KewlBites Recipe Index: by Reed Alexander includes Breakfast/Brunch, Salads/Sandwiches, Main Dishes, Beverages, Snacks/Desserts, Sides/Sauces. Kraft Foods - Quick and Easy Mealtime Recipes: Includes Appetizer Recipes | Dip Recipes | Casserole Recipes | Dinner Recipes | Pasta Recipes | One Pot Wonder Recipes | Dessert Recipes | Cake Recipes | Cheesecake Recipes | Cookie Recipes | Kid Friendly Recipes. Land O'Lakes Featured Recipes: Entrees, Side Dishes, Deserts, Snacks & Appetizers, Sandwiches, Breads, Sauces, and more. Martha Stewart: explore more than 20 years of recipes, crafts, entertaining articles, and videos. Includes Cooking: Recipes & How-Tos | Summer Produce Recipe Guide | Kitchen Wisdom videos | Celebrate: Parties & Holidays | Bartending Basics | Crafts & DIY Home.Recipes, Baking Recipes, Light & Healthy, Beverages, Cooking School, Cookie of the Day. Meals - Neslte's Kitchen Meal Planning Made Easy. Dedicated to being your ultimate meals resource. It definitely tries to meet its goal with thousands of recipes available. Moms Meatloaf Recipe: Designed by mothers for the mothers who are looking for great meatloaf recipes that kids will surely love. Recipes@Beliefnet Recipe resources for meat, seafood, vegetarian, vegan; holiday recipes; planning holiday meals & baking; recipes for salads, smoothies, soups, pasta & desserts. Recipes for Kids (KidsHealth): Includes recipe categories Kids With Cystic Fibrosis | Kids With Diabetes | Vegetarian Recipes | Kids With Lactose Intolerance. RecipeSource: organized into two major groups – 1) recipes primarily identified with an ethnic cuisine are broken down by region and ethnic group; 2) recipes are categorized by the type of dish. Recipe Source is the new home of SOAR: The Searchable Online Archive of Recipes. Reynolds® Kitchens – Recipes : Featuring everything from easy recipes, 30 Minute Meals, classic favorites, and lavish spreads for the whole family. Reynolds® Kitchens – Tips & Techniques: Whether it’s the basics of cooking with aluminum foil or something more advanced, Reynolds® wide variety of easy-to-follow tips will help you all around the kitchen and beyond. Simply Recipes: Many of the recipes are family recipes, and many of them are those gleaned from cookbooks, magazines, and newspaper clippings collected over 30 years. Also, favorite cooking and food blogs from around the world. Slow-Cooker Recipes: 1000's of Free Slow Cooker Recipes, Videos, How-To Slow Cook Guides. Smitten Kitchen Recipes: Includes seasonal favorites, appetizers, breads, budget, cakes, Chinese/Vietnamese, cookies, desserts, grains& rice, sandwiches, seafood, soups, thanksgiving. Spark Recipes Healthy-Delicious-Recipes. Browse by Occasion, Ethnicity, Dietary Needs or Courses. VegCooking Vegetarian Recipes, Products, Restaurants, and Much More! What's in Season: Fall Recipes. 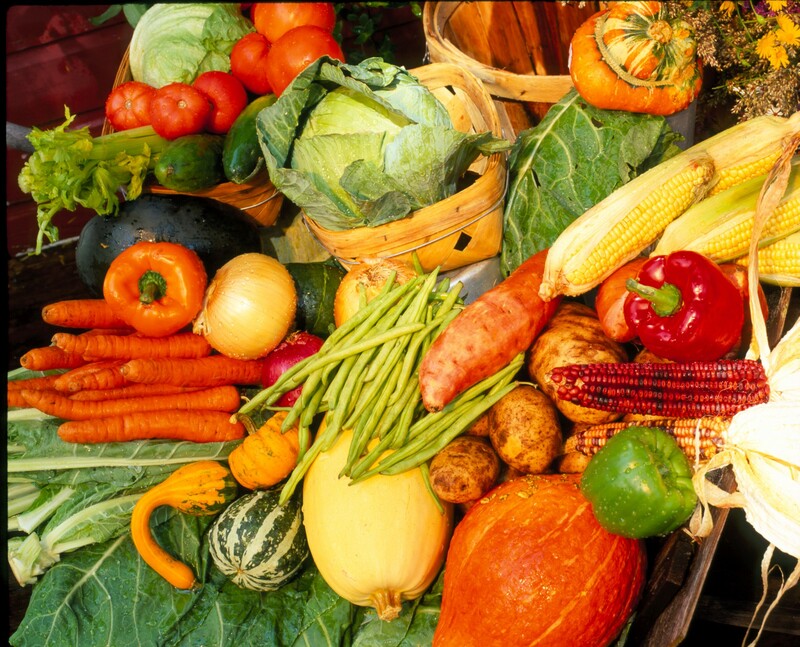 Autumn still offers a bountiful harvest of fruit and vegetables. Bring fresh apples, potatoes and pumpkins to the table with these fall recipes from the Old Farmer’s Almanac recipe archive. Yankee Magazine - Food: search recipe database for Breakfast & Brunch, Lunch, Main Dishes, Appetizers, Salads, Soup, Side Dishes, Desserts. Yummly: Indexing recipes from across the web - 500,000 recipes from sources like Allrecipes, Epicurious, Food Network, Chow, Food & Wine, Martha Stewart, My Recipes, Real Simple, and Recipezaar. Holiday Baking - Taste of Home: Delicious favorites like cinnamon rolls, sticky buns, stollen, scones, muffins, fruitcake, yeast breads, quick breads and coffee cake. Holidays & Parties - Food Network: appetizers, recipes, desserts, mixed drinks. 6 Wonderful Christmas Dinner Menu Ideas - Free eCookbook (from Editors of RecipeLion): This collection of traditional Christmas dinner ideas includes easy-to-follow recipes: from one of the most popular Christmas soup ideas, to Christmas entrée ideas, to an irresistible option for Christmas dessert recipes. 50 Favorite Christmas Cookie Recipes: easy cookie recipes and has everything from chocolate Christmas cookies and nutty Christmas cookies to traditional cookie recipes and fruit-filled cookie recipes. Christmas & Holiday Recipes from Betty Crocker. Mrs. Claus' Cookbook from the NorthPole Kitchen. Includes recipes for cookies, cakes, pies, breads, fudge, candy, and other recipes. Easy Kids Christmas Cookie Recipes: The Old Famer's Almanac. Super Bowl Food and Recipes: Here are dozens of Super Bowl recipes, including party snacks and finger foods, dips and spreads, hearty sandwich recipes, and more. Thanksgiving Planning Guide (Butterball): Preparing for the holidays is hectic enough. That’s why Butterball put together a helpful guides to help make your holidays easy and delicious. Butterball’s Heartwarming Holiday Favorite Recipes. Give us a call at 1-800-BUTTERBALL or drop us an email if you have any questions. A wealth of knowledge is waiting for you now, and it’s just a click or call away. Make-Ahead Thanksgiving Recipes: Reduce stress with these make-ahead Thanksgiving recipes, including appetizers, soups, side dishes, and desserts! 30 Perfect Pumpkin Recipes (MrFood): Create some sweet treats, or a show-stopping dessert to make for your Thanksgiving dinner, these easy pumpkin recipes are sure to please everyone! 28 Stuffing Recipes (MrFood) Citrus Stuffing, Holiday Sausage Stuffing, Mama's Old Fashioned Stuffing, Traditional Herb Stuffing, and more. Turkey Recipes for Whole Roasted Turkeys, Fried or Grilled, For Smaller Gatherings, Non-Traditional Turkey and Healthy Recipes from Eating Well. Thanksgiving Desserts: Pies and Beyond (Food Network): including pumpkin cake, pumpkin cheesecake, apple pie and pecan pie. 10 Sanity-Saving Thanksgiving Tips, Tricks and Hacks (Food Network): Check out 10 easy ways to save money, time and energy this Thanksgiving. Thanksgiving Recipes (AllRecipes): Thanksgiving recipes for Appetizers | Thanksgiving Bread | Cranberries | Dressings and Stuffings | Salads | Gravy | Green Bean Casseroles | Thanksgiving Leftovers | Pies and Desserts | Potatoes | Pumpkin | Side Dishes | Sweet Potatoes/Yams, and, yes, Thanksgiving Turkey Recipes. Thanksgiving Cooking topic page (NY Times): features recipes, articles, Q&As, multimedia and more. Thanksgiving Recipes (The Old Farmer's Almanac): Main Dishes, Stuffing, Sides, and Desserts. Thanksgiving Leftover Recipes. How to Roast a Turkey Roast & Chart (The Old Farmer's Almanac): a refresher course based on the classic recipe from the Butterball Turkey folks. How to Make Pie: Crusts, Fillings, and More (The Old Farmer’s Almanac). Advice on how to make pie the right way, including how to make the pie crust so that it’s flaky and tender. We’ve also created videos on how to jazz up your top crust with a lattice top or braided top! Thanksgiving Advice & Tips (ThriftyFun): Baking/Cooking Tips | Crafts/Decorations | Hosting Tips | Recipes | Turkey Tips. CheapCooking: Frugal tips for cutting back on your grocery bill, cheap and easy recipes, menu planning ideas, shopping hints, frugal living ideas, and a downloadable grocery list and price book. Chefs - Recipes: culinary information provided by professionals and amateurs alike. Here you can browse through hundreds of cooking-related categories and subjects. Coffee & Health – Institute for Scientific information on Coffee (ISIC): devoted to the study and disclosure of science related to coffee and health. The Cook's Thesaurus: cooking encyclopedia that covers thousands of ingredients and kitchen tools. Entries include pictures, descriptions, synonyms, pronunciations, and suggested substitutions. Exploratorium - The Science of Cooking Discover how a pinch of curiosity can improve your cooking! Explore recipes, activities, and Webcasts that will enhance your understanding of the science behind food and cooking. Food Reference: A collection of modern, classic, historic, cookbook, restaurant and chefs recipes, cooking tips, techniques & methods. Gourmet Sleuth: 'THE gourmet food and cooking resource.' This site is actually a 'culinary directory [that] contains thousands of links to food, cooking, and drink web sites.' You'll find ethnic foods, wine, beer, even culinary definitions should you question any of the terms bandied about by experienced chefs. Local HarvestAmerica's #1 organic and local food website maintains a definitive and reliable "living" public nationwide directory of small farms, farmers markets, and other local food sources. Just use the search engine or click on the map to find direct links to and information about the local food growers in your area. McCormick's Spices for Health. A must for your "virtual cookbook" shelf. O Chef - Answers to Life's Vexing Cooking Questions: Daily publication of Food News Service, which syndicates food news and articles to newspapers, magazine publishers, and Internet sites around the world. Popcorn - a whole grain food: The Popcorn Board is a non-profit organization funded by U.S. popcorn processors. The Board strives to raise the awareness of U.S. popcorn as a nutritious and versatile snack through domestic and international marketing efforts. Quinoa: Ancient "Grain" of the Incas: A recently rediscovered ancient "grain" native to South America not only high in protein, but the protein it supplies is complete protein, meaning that it includes all nine essential amino acids. The Tea Table: loose teas – black, green, white, Oolong, decaf, herbal – plus tea wares and accessories. Adagio Teas: loose teas – black, green, white, Oolong, decaf, herbal – and tea ware and accessories. Spice Advice: online guide to using spices. Information on different kinds of spices and helps you to decide the right spice combination for your meal. The site has spice usage tips, a spice encyclopedia. Ultimate Cooking Resource Guide: "Packed with over 40 helpful links, this guide is an asset for anyone interested in a wide variety of cooking resources – from casual meal prep to gourmet endeavors." Ask Karen – USDA Food Safety Education: search our knowledge base of common food safety questions. FDA: 7 Tips for Cleaning Fruits, Vegetables. U.S. Food & Drug Administration. Still Tasty - Ultimate Shelf Life Guide: Comprehensive information about how long you can keep thousands of foods and beverages. Allrecipes - Cocktails has more than 290 trusted cocktail recipes complete with ratings, reviews and mixing tips. Summer Cocktails from All Recipes. Cool down this summer with our top-rated cocktail recipes. Bartender (Bartender Magazine): Hundreds of Cocktail Recipes - Blender Drinks, Bourbon Cocktails, Champagne Cocktails, Cool Drinks (for Hot Weather), Cordials, Gin Cocktails, Irish Cocktails, Juice Drinks, Martini Recipes, Miscellaneous Favorites, Rum Cocktails, Shooters, Summer-tinis, Tequila Drinks, Vodka Cocktails. CocktailsAndShots.com: more than just a cocktails and shooters recipes database. It also has a cocktail builder, a measurements converter, an original cocktail blog, a top 100 of the most popular cocktails. Nutrition - National Agricultural Library, Food and Nutrition Information Center. "The Best Nutrition Information at Your Fingertips." Answers numerous nutrition related questions, provides helpful hints on planning nutritional meals, food recalls, and food safety. People trying to lose weight can find suggestions for weight control through exercise and proper nutrition. Users can also find useful information about food composition and how your diet can prevent or help manage diseases. "The Science of Baking": "It’s said the cooking is an art, baking is a science. Here are some simplified explanations of how and why the most common ingredients do what they do.